The Helical Bar concave is often the solution when more aggressive threshing is needed. Since the cross bars and wires run diagonally in a helical bar concave, material entering the rotor strikes a helical bar concave at a right angle. This prevents whiteheads and unthreshed grain. This innovative concave can be installed in the front concave position when encountering	tough threshing grain. 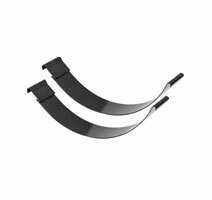 If even more aggressive results are desired the middle concave can be replaced with a helical bar concave as well. 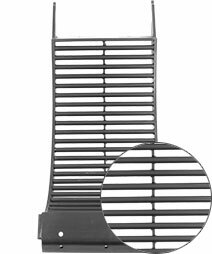 The Round Bar concaves feature round cross bars and is void of wires. This differs from the square edged bars of the wide, narrow, and helical concaves. The round bar concave is a great fit to harvest field corn (even at levels above 25% moisture), soybeans, popcorn, and food corn. 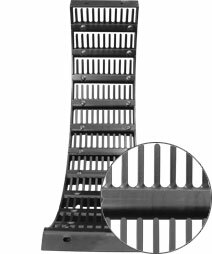 The round bar concave is also a suitable option for small grains, sorghum, sunflowers, and canola when used in conjunction with a helical bar concave in the front position. The Wide Wire concaves are intended for corn (not reccomended above 25% moisture), soybeans and other large grain crops like rice, sorghum, and sunflowers. 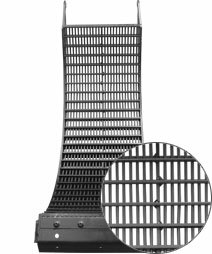 Similar to the narrow wire concave in overall design, the wide wire concave is equipped with wires perpendicular to the strong cross bars, but at a wider gap to allow more space for larger material to be threshed and for the larger grain to make its way down through the concave without plugging. 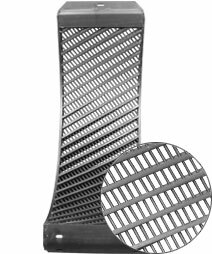 The Slotted concaves feature Smooth surface reduces crop damage and improves feeding. 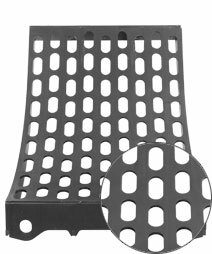 The Grate Finger concaves are made from laser cut steel providing greater durability and less prone to wear and breakage. The concave also offers replacement of individual finger sets. The Spring Loaded Shock Kit is designed to reduce or prevent damage to your concaves, pipes and rotor. The heavy duty compression springs absorb the shock caused by foreign objects or large amounts of material going through the threshing area. For rotary concaves. 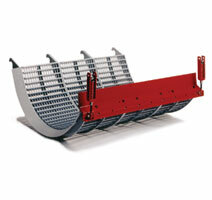 For improved distribution of material across the entire width of the shoe augers. Ideal for small grains. Install one or two on the first concave, and one on the 2nd and 3rd if required. For rotary concaves.